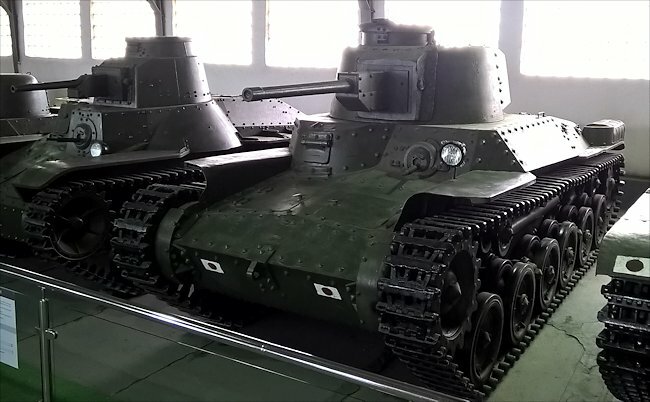 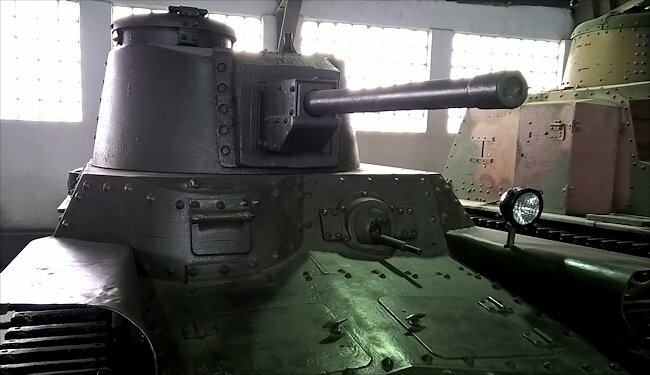 The Type 97 Shinhoto Chi-Ha Medium Tank next to the smaller Type 95 Ha-Go Light Tank. 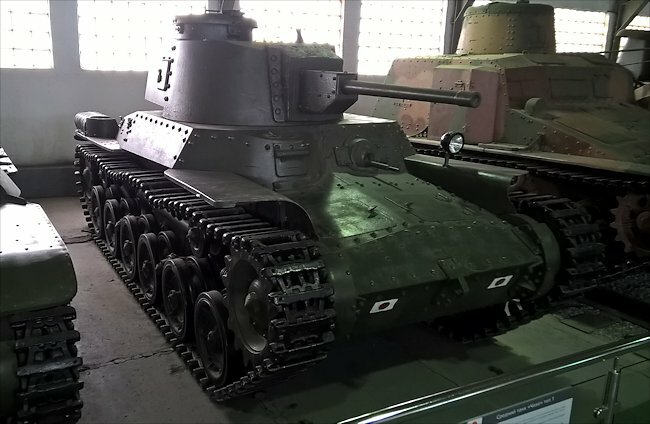 Unlike German, Soviet and US tanks the driver sat on the right in the Type 97 Shinhoto Chi-Ha Japanese Medium Tank. 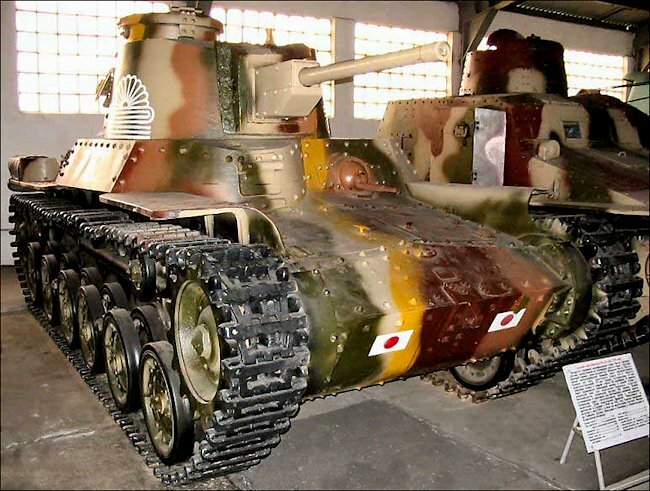 The Type 97 Shinhoto Chi-Ha Japanese Medium Tank painted in Jungle camouflage.